Wars and Revolutions cause mail bags to accumulate in post offices. In December 1917, the Bolsheviks concluded an armistice with Germany but this was repudiated by Germany on 18 February 1918 which then proceeded to occupy the Russian Baltic provinces. 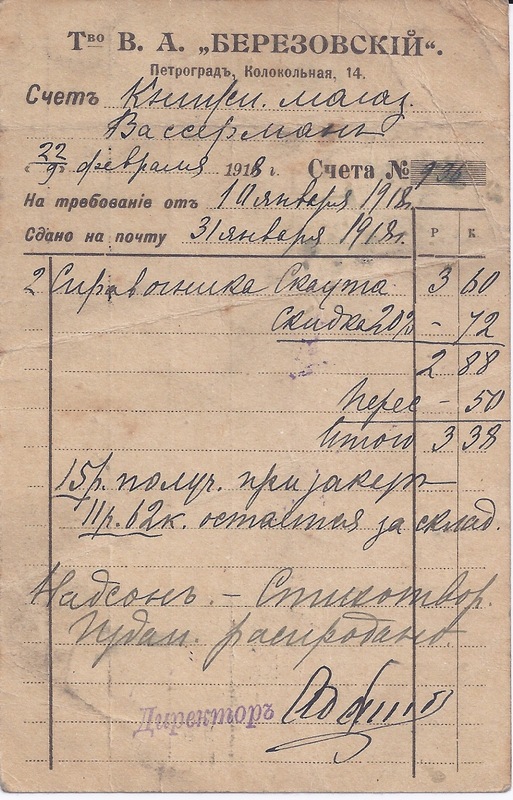 So this card with its statement of account, initially postmarked 27 2 18 at the Petrograd 44th Otd., was just a few days too late to make it to Reval. 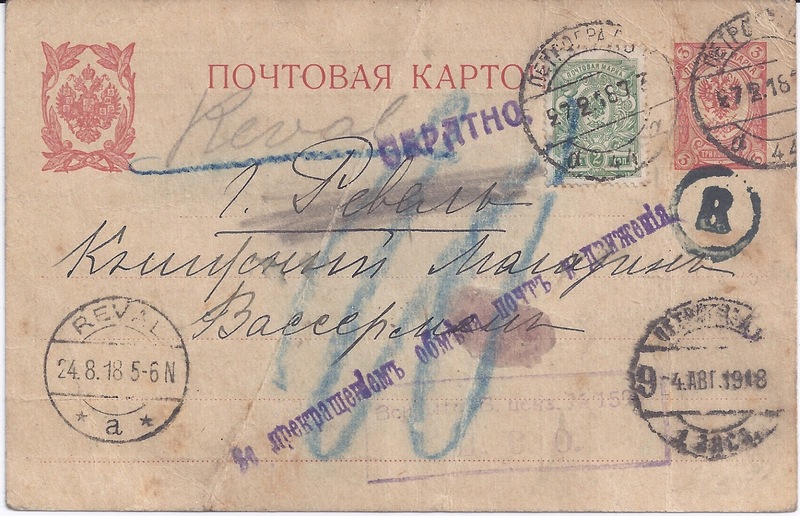 This is indicated by the two straight line violet cachets in Cyrillic indicating that the card should be returned ("OBRATNO" - equivalent to German "Züruck") because there is no postal service to the destination. 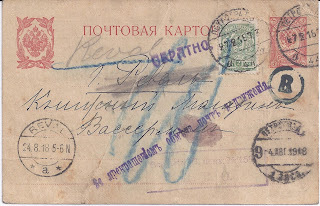 My guess is that the card stayed in a mail bag until taken out again at PETROGRAD 1st Exsp. on 4 AUG 1918. By this date, the Treaty of Brest-Litovsk of March 1918 had seen Bolshevik Russia accept the German Occupation of the Baltics and allowed postal services to resume. At second attempt, this card arrived at its destination as indicated by the German REVAL 24 8 18 at bottom left. 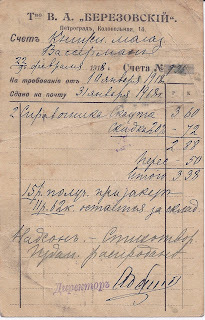 You can see a boxed Russian censor cachet at the bottom of the card and a German cachet (R in a circle) at top right. The large "10" in blue crayon looks like a Postage Due marking. If the card was treated as Printed Matter, then in February 1918 it should have been franked at 10 kopecks not 5 kopecks and 10 kopecks would then represent double the deficiency. But the real interest of this card is the way it failed at first attempt and succeeded at second attempt in getting to its destination, neatly illustrating how Russia's relations with Germany changed during 1918.